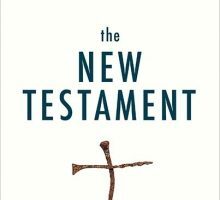 David Bentley Hart’s The New Testament: a Translation has come to a bookstore near you. I have already written about Hart’s article (published in Commonweal in September 2016) in which he spoke at length of the genesis and need for such a new translation. Here I would like to look at the New Testament translation itself. Full disclosure: what follows are general comments about the work, not an in-depth examination of it. I am offering my impressions after having read a number of passages with great interest; this is more a book review than a comprehensive dissection. A full dissection and analysis would require more than can be sensibly put in a blog. The work is characterized as one done “in the spirit of ‘etsi doctrina non daretur,’ ‘as if doctrine is not given’”. A blurb on Amazon describes it as “a pitilessly literal translation, one that captures the texts’ impenetrability and unfinished quality”. One cannot quibble too much with the intention of translating the texts with such scholarly objectivity as would free the translation from confessional bias. The texts say what they say, and a translator must resist the temptation of tinkering with the translation to bring it into closer alignment with his church confession. (One thinks perhaps of the Authorized Version’s translation of episkopos as “overseer” rather than as “bishop” in Acts 20:28, lest that episcopally-blessed Anglican version give the impression that Paul identified a presbyteros (in v. 17) with an episkopos. Which he of course he did.) The trick in all translation is to make the final product comprehensible when read (if it requires many long footnotes to be understood, it should perhaps be sold as a commentary, not a translation) and to accurately reproduce the meaning of the original. Literality is not a virtue in itself, but also insofar as it serves one of these two goals. And if the text retains too much of its “impenetrability” it will not be understood by its readers. Most translators realize that they have a pastoral responsibility to the readers to tell them what the text means, and this inevitably involves at least a little bit of interpretation. No one is free from bias in this regard—including individual translators such as Hart. It will not do to say “everyone is biased in their translation except of course me”. All translators have at least a mote or two in their own eyes. All the more reason for the unwary to use as many translations as possible. Hart’s contention that all modern translations have been deliberately falsified (he speaks of “preposterous liberties taken” and of “pious fraudulence”) because they were produced by committees more mindful of confessional politics than accuracy is perhaps a little harsh, and seems to presuppose a lot of first-hand knowledge about what went on behind closed doors in those committees. Saying for example (as he did in an interview) that the New International Version “is simply not the Bible” seems rather over the top. I fully agree that this version skews some of its renderings in a Protestant direction (such as insisting on rendering paradosis as “the teaching passed on” when used positively and as “tradition” when the word is used negatively), but this hardly disqualifies it so completely as Hart suggests. I suspect that its popularity among American evangelicals contributes to his tremendous negativity regarding it. There are both advantages and disadvantages in works produced by committees and in works produced by individuals. It is true that committees may be tempted to produce a text acceptable to all concerned, which may unfairly skew the meaning of the text to avoid controversy or to promote a confessional teaching, and Hart is right to call our attention to this fact and provides a valuable service in so doing. But it is also true that those committees afford little opportunity to individual translators to promote their own agendas. Regarding the versions produced by individual translators—these have the advantage of not being watered down by their peers on a committee. But these translators also have no brake upon their own idiosyncrasies, brakes such could be provided by that committee. Thus both committee-produced versions and individually-produced versions have their own strengths and weaknesses. Demonizing all the versions produced by committees is unfair—and perhaps a bit self-serving if one is promoting one’s own private translation. But there is another factor of which translators need to take account, a pastoral factor Dr. Hart the scholar has perhaps not thought of or, if he has, has given insufficient weight. It is that of congregational use. There are two distinct needs and therefore two types of translations. Sometimes one needs a translation for study and minute exegesis (such as the kind Dr. Hart needs when he re-translates the New Testament for his class), and this will require a very literal rendering to show what the Greek actually says. At other times one needs a more elegant and flowing translation for congregational liturgical use, and here one must sacrifice literality for a true vernacular. To take one example: in vernacular English one speaks of “bread” in the singular (as in, “Please buy bread when you are at the store”), but “loaves” or “loaves of bread” in the plural—one would not say, “Please buy me two breads when you are at the store”, but rather “Please buy me two loaves of bread”. You can say “two breads” or “two artoi” in Greek, but not in truly vernacular English. Because no language is a mathematical equivalent of another, literal one-to-one verbal correspondence must be sacrificed when one language is translated into the vernacular of another. Scholars using the New Testament simply for study can ignore this and produce literal translations (I did one myself in my own commentary series), but translators producing versions to be read in church cannot. They cannot (for example) translate akrobustia as “foreskin” rather than “uncircumcised” without provoking giggles from the adolescents in the congregation when it is read in church, and they cannot simply leave the term phosphoros untranslated so as to read “till Phosphoros arises in your hearts” without provoking blank stares from pretty much everyone. A scholar can attempt such literality if he uses many long footnotes to explain his choice of rendering, but a translator mindful of congregational use does not have that luxury. Hart attributes the non-literal renderings to which he objects to bad faith on the part of translators (as mentioned, he speaks of their “pious fraudulence”), but at least a part of their concern to render the text non-literally is due to their concern for congregational use. Pastoral responsibility accounts for at least some of the result; one need not attribute it all to bad faith and pious fraud. To come now to Hart’s own version: sometimes his literal renderings are quite wonderful and helpful, since certain words over time have become so “churchified” by long religious use as to be almost emptied of their original meaning. Thus Hart’s rendering of diabolos as “slanderer” rather than “devil”, and his rendering of ekklesia as “assembly” rather than “church” are certainly to be welcomed, for such renderings open up what the Greek words actually meant to their original readers and avoid later unhelpful accretions of meaning. It is too easy to understand diabolos as meaning simply “bad, and possibly having horns” if one renders it as “devil”, since the word “devilish” now means “very bad” or even “Satanic”. And rendering ekklesia as “assembly” helps one to see that ekklesia is what happens when the Christians of a given area assemble. (Thus Zizioulas in his Eucharist, Bishop, Church: “This ‘Church’ [at Corinth] is first and foremost the actual assembly of the Corinthians gathered to perform the Eucharist.”) Hart helps the reader to see that ekklesia in its primary meaning refers not to an organization, a building, or a clergy, but to the phenomenon of Christians gathering for the Eucharist. This is all very good. My criticism of Hart’s overall translation is two-fold: in places it distorts the meaning of the text to bring it into closer alignment with some of Hart’s pet doctrines such as universalism, and it sometimes lacks sufficient comprehensibility. (It is also so spectacularly clunky and inelegant in spots that it is unsuitable for liturgical use, but that is beside the point since I believe Hart never intended the work to be used liturgically.) But perhaps I should mention a few examples. I suggest that a part of Hart’s translation was motivated by his desire to prove that the New Testament does not teach the eternal punishment of the lost, and that God has no wrath toward them. That is perhaps why I could not find the words “eternal” or “wrath” in the text. I apologize in advance if I somehow missed them (as I said, this is a book review, not a dissection), but they certainly did not turn up where one might expect them. Thus, for example, we read in John 3:36 how “God’s ire” rests upon those not having faith in the Son, not “God’s wrath”, as in most other translations. Similarly in Revelation 14:10: “he shall drink also from the wine of God’s vehemence, mixed undiluted into the cup of his ire”. There is no difference in meaning of course between “wrath” and “ire”, but one suspects the substitution was made in deference to the polemics which have denied that God has wrath. And of course one can become irate without actually pouring out any wrath. A clearer example of allowing personal ideology to determine the translation is his allergy to using the word “eternal” for the Greek aionios. The root of the word does mean “age” (and sometimes “world”, such as in Hebrews 11:3), but common to both “age” and “world” is the idea of immeasurable immensity, so that the word is used to denote things which were measureless and unending—things such as the life given to believers. Yet Hart refuses to use the word “eternal”, preferring the word “Age”, spelt with the capital, presumably to denote the Age to Come. Thus we find in Matthew 25:46, “These [the unjust] will go to the chastisement of that Age, but the just to the life of that Age.” Thus the famous John 3:16: “For God so loved the cosmos as to give the Son, the only one, so that everyone having faith in him might not perish but have the life of the Age.” Thus John 3:36: “He who has faith in the Son has the life of that Age”. Thus 2 Thessalonians 1:9: the unrighteous “will pay the just reparation of ruin in that Age”. In fact the term aionios often means simply “eternal”, with the primary meaning of endless duration, not always simply a reference to the Age to Come. This is its primary meaning such Old Testament texts as Genesis 21:33 (the Lord is theos aionios) and in Philo’s work On Noah’s Work as a Planter (which speaks of “the aidios word of the aionion God”). There are times when the New Testament text calls for the rendering “age” (e.g. Romans 16:25), but surely not in every instance. In the first century the word aionion often meant “eternal”, and a literalism which ignores cultural context is sometimes indistinguishable from fundamentalism. I note in passing also his translation of 1 Corinthians 6:9 ἀρσενοκοῖται/ arsenokoitai as “men who couple with catamites”. Another long footnote explains that the word was not found in ancient literature before Paul’s usage of it and that it should certainly not be rendered “homosexuals” since our modern understanding of homosexuality as an orientation could not be found in the ancient world. This seems to me like another instance of special pleading. The words arsen (meaning “male”) and koite (meaning “bed”) are both found in the Septuagint rendering of Leviticus 18:22, and Paul was obviously using this verse in creating the composite arsenokoitai, by which he referred to those indulging in the proscribed behaviour of males bedding other males, apart from considerations of innate orientation or the youth of the other male being bedded. Hart’s rendering of the word sounds like an attempt to remove the verse from current discussions of homosexuality. Discussions of differences between homosexuality in the ancient world and now are indeed valuable. But refusing to use the word “homosexual” is just as much an interpretive reading as using the word. A rigorously literal rendering would be something like “those who bed males”. Talking about “catamites” (i.e. young boys) involves just as much interpretation as does using the word “homosexuals”. I have already mentioned Hart’s singular rendering of koinonikos in 1 Timothy 6:18 as “communalists”, with yet another long note justifying the translation. Here I will just refer to my previous discussion of it as another example of Hart’s translation being guided by his personal views. In spots Hart’s translation also is somewhat incomprehensible, so that it has to be accompanied by the recurring long footnotes. Sometimes the incomprehensibility comes from simply leaving the Greek text untranslated. Thus we read in John 3:16 how “God so loved the cosmos”. In our modern post-Star Wars era, this gives the inevitable impression of our boldly going where no one has gone before, whereas to the ancients the immensity considered in the word kosmos was that of the world in which they lived. The rendering is therefore not so much incomprehensible as a touch misleading. We also find that Hart renders John 1:1 as, “In the origin there was the Logos, and the Logos was present with GOD, and the Logos was god”, once again, with another long footnote. “Logos” has been left untranslated, leaving the footnote to explain why the first “GOD” was capitalized and why the final “god” was not. Other bits are left untranslated as well. Thus Ephesians 2:2: the faithful prior to their conversion “used to walk in accord with the age of this cosmos, in accord with the Archon of the Power of the air”. “Kosmos” is left untranslated, as is “archon”. The meaning of the phrase “in accord with the age of this cosmos”, though literal, is not immediately apparent and might give the reader the false impression that the problem was with the immense age of the universe, not with one’s behaviour in the world. Odd sounding too is Hart’s rendering of 2 Peter 1:19, which says that we should attend to the prophetic word as to a lamp shining in a dreary place “till day should dawn and Phosphoros arise in your hearts” (cited above). Again we are treated to another long footnote explaining why the word often rendered “morning star” was left untranslated. Given that phosphorus is also a chemical element, the translation borders on the comic. Other renderings also might bring a smile. In Philippians 3:2 Paul now exhorts his readers to “watch out for the ‘In-cision’, which conjures up an image of an incompetent surgeon (though admittedly translating the contrast between katatome and peritome is tricky). Also as cited above, in Ephesians 2:11 Paul tells his Gentiles readers that they were “the ones called ‘Foreskin’ by the so-called ‘Circumcision’ in flesh”, which reminds one of children shouting taunts at recess. The word akrobustia does indeed literally mean “foreskin” (thus in Genesis 17:11, “you shall be circumcised in the flesh of your akrobustias”), but the point at issue for those rejoicing in being “the circumcision” was not the absence of foreskin, but the fact of their initiation into the privileged people of God. The meaning of the taunt calling them “the uncircumcised/ akrobustia is more obscured than revealed by insistence on a literal rendering. The term is elsewhere used by Paul to denote a class of people, not a piece of flesh. Sometimes the meaning of a word resides in the history of its usage, and in these cases ignoring this history in favour of a literal reading can miss the meaning. As said above, translators providing translations for congregational use know this, and must work accordingly. They do not the liberty of literality that Dr. Hart has if their work is intended for liturgical use and they should not be blamed for choosing clarity over literality. More misleading is Hart’s refusal to translate the Greek geenna as “Gehenna”, an unusual departure given his preference for leaving Greek terms untranslated. Instead he renders it “the Vale of Hinnom” in Mark 9:43, and he renders “the Gehenna of fire” in Matthew 5:22 as the “Hinnom Vale of fire”. Once again one suspects an attempt to avoid the usual associations attending the term Gehenna in the New Testament. The problem however is that his rendering might give the impression to the unwary that the Vale of Hinnom was a geographical site in Palestine, when in fact the inter-testamental use of the term referred to a place of eternal punishment in the next world. Rendering it as the “Vale of Hinnom” seems designed to separate the term from this cultural background. My main difficulty with the work revolves around Hart’s stated view that all the English translations preceding his own were so flawed and misleading as to be almost worthless. In one interview he advised people not conversant with Greek, “Don’t buy or read any modern translation; none of them is any good.” Surely it is not necessary to so thoroughly denigrate everything that has gone before in order to promote one’s own contribution. Hart insists on a literalism of rendering to avoid denominational bias in the translation, but it seems to me that he is not as immune to the temptation of bias as he supposes. His translation, however well-intentioned and however many felicities it contains, is too idiosyncratic and forced to supplant all that has gone before it. We may use Hart’s work if we wish for private study. But other translations may still enjoy their place in the sun as well. Hart’s insistence that no English translation before his own was “any good” strikes one as rather prideful. All of them have their flaws, and all of them their valuable uses—including Dr. Hart’s. Update: I have just read a review of Hart’s NT by Bishop N.T. Wright, which I commend to all. It can be accessed here. Your blog on this translation is so helpful and so clear. Thank you. Thank you, Father, for this most illuminating review, complete with specific examples. Thank you for doing this in the sure knowledge that you will be attacked for your reasonable arguments. The only place I can find this quotation is on this blog. I’d like to see the source, please. Delighted to oblige. The interview can be found at: crackersandgrapejuice.com/episode-103-david-bentley-hart-the-principalities-and-powers/ . This particular comment was made about 3 minutes into the interview. Thank you for this review, it is much appreciated. I apologize that my comment does not directly address the topic of your post, but rather from whom I choose to learn and why I do so. As I have mentioned before, I long to understand all points of view as I see it as a process of learning. But there is a time to turn back to solid Church teachings. It is a challenge not to get sidetracked on issues that are controversial, as ongoing (unending) controversy only seems to divert from profitable learning. I speak for myself here, and those new in the faith who realize the challenge of truly understanding Orthodoxy. The fact that each subject (ex. knowledge of God, Trinity, scripture…there are so many, it is futile to attempt to list) has such depth, layers of understanding that build upon each other, I can not afford to concentrate on all the points of view of a subject I (personally) recognize as a diversion. Others may profit from such study, and that of coarse is fine. Applying this to Dr. Hart and his teachings, from what I observe, he has one too many diversions. I have to go by the general consensus of Church teachings down through the centuries…to concentrate on teachings by those who are held in esteem by a majority of Church leaders, consistently, both past and present. Regarding Dr. Hart, this is the picture I have: within the wide circle of Church tradition, he stands not close to the center, but too close to the edges. For now, I choose to stay center. That’s about all I can say. I respect and acknowledge opinions that differ from mine, but this is where I stand. 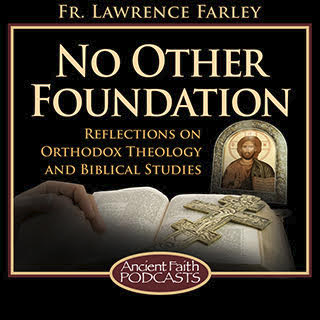 Thank you again Father Lawrence for your leadership in the Church and for allowing discussion via your blog. Thanks Paula. Standing near the center of Historic Church teaching is sound advice for all of us. I think that the key word here, in context, is *modern*. All *modern* translations have had biases, for translation itself is a modern invention. The King James Version certainly had a bias of propping up the Protestant English monarchy (ironic, since it is the version that most Orthodox Churches enshrine today). That doesn’t mean it isn’t (mostly) accurate, but there are biases. The Fathers read the scriptures in their original languages, and that’s what is preferable. I don’t think Dr. Hart is saying that his version is the definitive translation. There can be no definitive translation of any work, for to translate is to do violence to a text. I don’t see how translation itself is modern invention; the Hebrew text was translated into Greek around 250 B.C., and the Church has continuously translated the Scriptures into other languages. And how modern is “modern”? Hart denounces the NIV and the ESV by name. Does the RSV have his approval? The KJV? Coverdale’s? The Vulgate? My problem is that Hart seems to see bias everywhere but in his own work. And the Fathers did not read the Scriptures in their original languages, for very few of them could read Hebrew. I would like to see you engage with Hart’s apparent biases in more depth. It is no secret that David Bentley Hart is a proponent of universalism, just as it is no secret that you are an opponent. These proclivities, however, do not in and of themselves tell us how respective verses in the New Testament ought to be interpreted. In other words, hart’s universalism does not mean his New Testament translation is inaccurate. If one looks to scholaraly consensus, or to how certain terms were utilized in non-biblical Greek texts, what does this reveal? Thank you for this! Perhaps I could have more of an in depth look at Mt. 25:46’s kolasin aionion in a future blog post?–though I do examine both words in my book Unquenchable Fire. Having a look at other exegeses might be good too. I appreciate the suggestion. I also don’t deny that there certain things that are sometimes simply translated wrongly (like “by faith IN Christ” as opposed to “by the faith OF Christ”) and that these are the result of the heterodox traditions within which the translations took place (just as we Orthodox would translate with our Holy Tradition in mind). But taken as a whole, it just isn’t honest or even fair to say that English translators or translation committees weren’t concerned with producing a faithful translation. With all their hostility to Papal claims, as well as doctrines that render these words incomprehensible, both of the following translations produced after splits from Rome read as follows. In short, it has never concerned me that our English translations are imperfect. If we read (or hear) with the Church’s teaching in mind and allow our minds to be shaped by prayer with her in worship rather than worrying about trying to figure out what the original texts say (or worse yet, what their authors might have MEANT by what they wrote), we need not fear that we will somehow “get it all wrong” because our texts are imperfect. We do not follow texts; we LIVE the text in living communion with those who wrote it. “In short, it has never concerned me that our English translations are imperfect.” This is exactly the point I had made where I said that I have yet to hear in conversation with “regular” folks the need for a better bible translation. By “regular” I mean the laity, the common folk, the one’s that may consider the works of scholars, who very much DO study, but ultimately trust the age old teachings of the Church… those who want to live the life of ‘being born from above’. We ask…what does this mean? It is MUCH more than dissected words. I appreciate scholarly work. It surely has its place in the Church…but it can not replace what you allude to…the work of the Spirit. And you made a very fair and true statement in your post below about the Protestant historical approach to scripture. I should add for the sake of clarity that we Orthodox do not accept Papal claims either. Nor do we accept Rome’s use of the translations I cited of passage to justify them. I cited these only to show that that the translations are essentially faithful, with no attempt to obfuscate or change the words to suit their own purposes. We may rightly criticize the Protestant world for ignoring or explaining away many things their own translations contain, but it is fair to say that, at least historically speaking, they long maintained an admirable reverence for Scripture as the word of God and have done their best to preserve the original meaning text itself. Until relatively recently few Protestants would have dared do otherwise. I am curious – did you read the appendix which explains many of his translation choices? Why speculate on the choices made when in fact he explains many of them explicitly? Second, aside from the issue of apokatastasis (and I think you are plainly wrong with your characterization of his intention with respect to the translation – it seems clear he is trying to render the Greek in a way that a reader can understand that the text says something other than what is typically translated – which is absolutely correct and which in my mind produces a better, albeit imperfect, english rendering of what is actually there in Greek; I’m sorry to say but I think you are importing a concern over universalism, rather than Hart), I’m surprised that you aren’t engaging broadly with the theological differences from standard protestant translations that a re-rendering of the Greek suggests – even in mentioning the choice of comsos over world, you fail to note this translation implies a cosmic redemption (which is certainly both what the text says and what Orthodox have received – this strikes me as a fairly radical improvement over other translations). Similarly with the term “logos”, which I note, is the preferred translation for the latest Liturgy book from the Greek Orthodox Archdiocese – “word” is a radically misleading translation at this point. What are we saying theologically here? In many cases, Hart’s approach aligns much more closely with Orthodox doctrine, as it turns out, than protestant translations. This is particularly true in Paul, which I would think should matter quite a bit. I am also at a loss as to what your criticism is about with John 1. His translation is about the only thing I have ever seen that does any justice to the Greek. I mean, what is the criticism exactly? That we don’t like what the text actually says? It clearly does not say what is typically rendered. Lastly, while Hart’s comment about “none of them being any good” was clearly made tongue-in-cheek, I also think there is much greater cause for concern over many protestant translations than you are suggesting. When I did my seminary course work in the study of the Scriptures (at an Orthodox seminary), this kind of thing was openly discussed and seemed to be universally understood to be an issue. While I do not think Hart’s work is without flaws (I do agree Gehenna would be a preferable choice for example), I cannot think as a rule what other English translation would overall be preferable as a primary text for study for Orthodox, since it turns out rather nicely to be the case that “mercilessly literal” also reads much more in line with what we believe. Also aside from translation issues, the structural flaws I see with the book are a) the absence of chapter names at the top of the page b) the commentary has his typical moments of rhetorical flourish that are unnecessary and likely to provoke c) the introduction, which, while it seems to me to be substantially correct and completely inline with the Tradition, ratholes on a single issue orthogonal to the translation itself and likely to cause unnecessary provocation. Just a brief reply, lest my response turn into another blog post. I suppose it all comes down to a matter of trust. Of course if a translation is somewhat ideologically-driven the author will not admit it, but offer other explanations for the renderings. But (for example) it seems clear that his translation of koinonikos in 1 Timothy 6 as “communalist” (with a long footnote explaining why he differs from pretty much everyone else in this rendering) is driven by his long-argued view that all wealth is intrinsically evil. And translating kolasin aionion in Matthew 25:46 as “the chastisement of that Age” when almost everyone else renders it as “eternal punishment” is unlikely to be unrelated to his universalism. Perhaps I am just too cynical, but I still think that securus judicat orbis terrarium, and will go with the majority readings. Regarding other renderings: translating kosmos as “cosmos” rather than as “world” because Orthodox theology teaches a cosmic redemption is precisely allowing theological concerns to determine the translation—the very thing Hart decries. The usual meaning of kosmos in the NT is confined to this world: thus Matthew 13:38—“the field” is the world in which we live, not the solar system or the vast expanse of interstellar space. Thus Matthew 26:13: the Gospel is preached in the “whole world” on earth; Mark 16:15: we are sent out into “all the world” to preach the Gospel, not into outer space. It is even more emphatic in Johannine usage: John 1:9 declares Christ is the light of “everyone coming into the world”—i.e. everyone born on earth. In John 17:11 Christ says that He is “no more in the world”—i.e. no longer to be on earth. A quick look into a concordance confirms that in the Gospel kosmos usually literally means “this world”. Regarding his rendering of John 1:1: Rendering en arche as “in the origin” rather than as “in the beginning” is not only less clear (the origin of what? ), but it also obscures the intentional connection of John 1:1 with Genesis 1:1 LXX—unless we are to look forward to Hart’s upcoming translation of the Old Testament as well. Finally, I am not at all sure that Hart’s comments in the interview were mere light-hearted banter, given that in his book he makes similar judgments, talking about “preposterous liberties taken” and “pious fraudulence”. In both print and interview he clearly says that the available translations are not to be trusted but were produced in bad faith. I believe his sincerity in the interview because I believe his sincerity in his book. In agreement with Greg, it seems clear you have not read Hart’s explanatory material on many of the points you raise abiut his translation. I would argue this makes your post not even a book review; it is more a reflection on what you think his intentions and biases are based primarily on materials not found in this book, and a defense of your own biases without engaging his arguments as to why your view is/might be wrong on linguistic grounds. That is, you didn’t do the work necessary to write even a blog post on his translation. I look forward to your more informed thoughts on the reasoning behind and the purpose of his translation, as well as its value (or lack therof). As mentioned before, it more a matter of trust than research. Also I deal with the linguistic grounds for his renderings of “eternal punishment” in my next blog post. Perhaps you and I could discuss my arguments there? I am far from expert enough to make an argument one way or the other on how to translate aionios and its cognates. I just think it was necessary to have engaged with the book and the clearly stated reasoning behind its choices before commenting on its choices and ignoring the reasoning behind them. Yes, this is a blog, but I’m not sure that’s an excuse when writing on a religious topic as a priest, i.e., one with authority (and therefore responsibility). Perhaps you could respond to my arguments in my following blog piece? I engage the actual translation choices and the reasoning there. Also, may I ask you to please post under your name? An important part of authentic dialogue is the willingness to share our true identities. What is Dr. Hart’s reason for translating John 1:1 as he did? The Jehoavah’s Witnesses (modern day Arians) NEW WORLD TRANSLATION does something very similar. 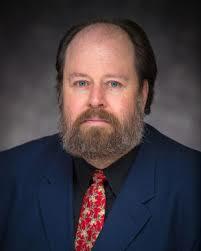 I do not think that Dr. Hart is motivated by the same Unitarian impulse animating the JWs. I believe his intent was to be as literal as possible. Despite the small “g” in describing the Logos/Word/Christ, it does ascribe full divinity to Him. I think the intent of Dr. Hart (and St. John) was to distinguish between the Father (as the source of Tri-une deity) and the Word, who though distinct from the Father is still fully divine. There is nothing in the Greek text which would require such capitalization, since in the early Greek MSS all the letters were in capitals. I think it is Dr. Hart’s way of distinguishing between the Father and the Son, and stressing that in Jewish/ Christian thought “God”=the Father. In my view it is a bit odd, since when it is read aloud such capitalization cannot be conveyed to the listener. 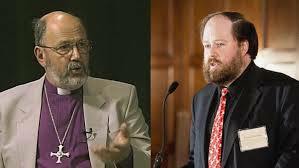 But it is not heretical; Dr. Hart is entirely Orthodox in his Christology. Thank you for taking the time to answer all these questions, I appreciate it very much. God bless, and blessed be God. Yes, the actual text does not require more emphasis. The phrase “the Word was with God” in the Greek is “o logos en pros ton theon” (with the ‘ton‘), whereas the final clause “the Word was God” in the Greek reads “theos en o logos” (without the “ton“). I’m not sure I would call it a difference in emphasis. Dr. Hart is trying to express this difference in Greek by means of English capitalization. Dr. Hart addresses the rationale behind his translation of this passage in some depth in the book. When the smartest person in the world translates the New Testament, we should all stand up and take notice! Thank you, Father Priest, for the above review. May Christ remember your Priesthood in His Kingdom! I am Orthodox in communion with Rome (“Byzantine,” if some prefer). I offer a few thoughts. (1) Etsi doctrina non daretur — But, from the opening words of the very first gospel, a doctrinal claim is made: that Jesus was a Jew and a descendant of King David. Hence, the inference is that He fulfilled the essential conditions for claiming to be — or, rather (perhaps, more accurately) for being claimed to have been — the Messiah of Israel. The whole genre of “Gospel” itself is doctrinaire, which is why it is marked out as a brand new genre amongst ancient biographies. The very last words of the New Testament are an almost-breathless prayer to the glorified Jesus that He might return — and, soon — to His people. The Parousia is not doctrinal? 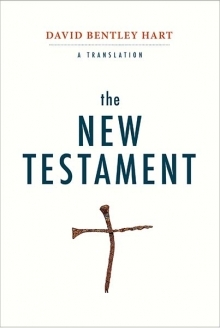 So, to suggest that the New Testament, either as a whole or in its minute text, somehow stands above and beyond any sort of doctrinal concern suggests to me that, while the Translator has indeed translated, he has not actually read what he was translating.